Did you know that your phone has apps that can save you money while shopping? Check out this episode of the podcast to find out more! I have often provided links in my semi-monthly e-newsletter to articles on EveryDollar.com that talk about ways to budget, save money, and plan for the future. The information they provide is great for anyone trying to save money to pay down debt or just find extra cash for a special purpose or to save for retirement. 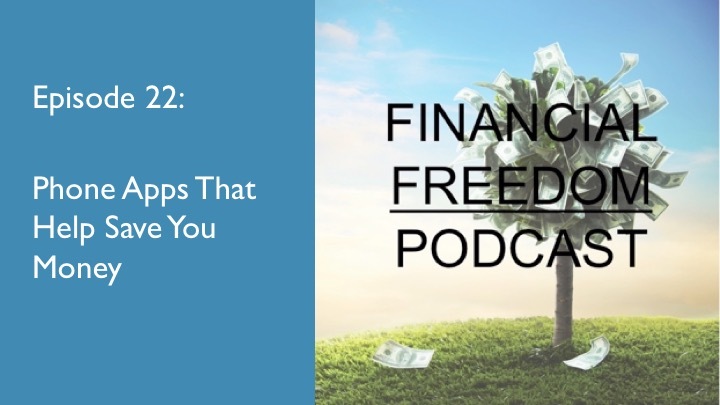 They recently posted an article on their blog about how your smartphone can help you do this, not just with their budgeting app, which I reviewed in a previous episode, but also with many other apps that find you deals. After reading it, I thought it would be a great idea to bring this information to you in the podcast. Hopefully, they will work for you.